Odds are that if you have come to this this to find out how to get rid of heartburn, you are in one of two groups. The first group of people are those who don't usually get acid reflux and are desperately searching for a way to end the discomfort. 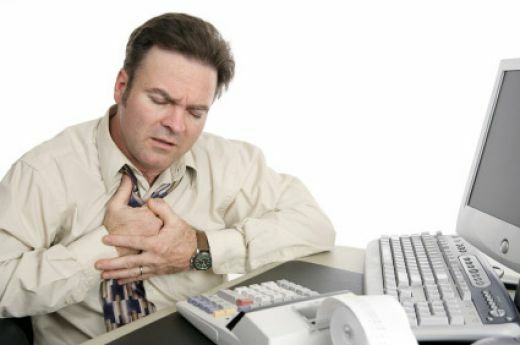 The other group are those who often suffer from heartburn or even, in more severe cases, chronic heartburn. The reason why it is important to separate these two groups of heartburn sufferers is because, depending on which group you fall in, there may be a different answer to your problem. Before you can delve into cures for acid reflux, you should first understand exactly what it is. Don't worry, I am not going to give you a long, drawn out explanation filled with medical jargon. Essentially, heartburn is the pain that you feel when stomach acid travels up from the stomach and into the esophagus. This is so painful because the lining of the esophagus was not made to withstand this type of acid. The stomach acid is literally eating away at your throat. Over time this can cause some major damage which is why it is very important to get acid reflux under control as soon as possible. In this article I will go over the three best ways to eliminate heartburn. The most common way to alleviate acid reflux is through OTC, over the counter, antiacid medications. These over the counter medicines can be purchased at any supermarket or pharmacy and no prescription is required. This will grant you some quick and instant relief from heartburn symptoms. This brings us back to what I wrote about at the beginning of this article, the two groups. If you rarely get heartburn, these antacids will usually do the trick. If you suffer from chronic heartburn, medications may give you some temporary relief but are not the long term answer to your problems. For those of you who are unfamiliar with antacids, here are a few examples. There are two types of antacids, calcium based, such as, Tums, Maalox, Mylanta, Pepcid, Pepto and Milk of magnesia. The other type of antacid is a long term antacid, one that will last for up to 24 hours, such as, Prilosec, Prevacid and Zantac. For the most part any of these medicines will provide quick and easy relief of all heartburn symptoms. However, it is important to remember that these are only a temporary solution. Milk – Milk will help to relieve heartburn symptoms. This should only be fat free milk however, as the fat in milk will often stimulate even more production of stomach acids. Apple Cider Vinegar – This type of vinegar can be added to a cup of water and has been known for its heartburn relief applications for years. This will cause an almost instant relief of your discomfort. Baking Soda – By drinking a teaspoon of baking soda mixed into a full glass of water you will be instantly relieving your acid reflux. This is due to the fact that baking soda is a base which will neutralize acid. Some other natural remedies are bananas, garlic and almonds. Although these natural remedies for heartburn will work very well, often times just as well as the OTC medications, it is still important to remember that they are only a temporary cure. This leads me to my next point. If you rarely get heartburn then either the medications or natural remedies will do fine. If you are constantly suffering from acid reflux you may need to do a bit more than simply relieve the symptoms. More often than not, as soon as people here the words “change your diet” they begin making excuses and coming up with reasons why they shouldn't alter what they eat. Don't panic! Cutting out a few foods and replacing them with some others may be all that you need to stop the recurrence of heartburn permanently. Just because these foods are known to cause acid reflux doesn't mean that you will need to completely cut all of them out of your diet. These are just a few examples that are here to guide you in the right direction. There are two things that you can try in order to cut out these foods without turning your life upside down. You could try and ease up or cut back on these foods without completely eliminating them. You could also try cutting them out one at a time to see if there is a specific type of food that is causing you to constantly develop heartburn. Even if worse comes to worse, you may need to ask yourself, “Are these foods really worth all of the pain?”. This doesn't mean that unless you only consume these foods you will get heartburn. These are simply foods that are known to help reduce the risk of having acid reflux. The last point that I want to make is geared towards group two, the chronic heartburn group. If you are almost constantly suffering from acid reflux, two or more times per week, and nothing seems to be helping you. You need to see a doctor, as heartburn may seem like a common health problem and in small doses may be harmless but long term heartburn can cause some very severe health issues. Your doctor may be able to prescribe a medication that can help you to permanently cure your chronic heartburn. For more similar information, take a look at an interesting article on WebMD called What Does Heartburn Feel Like? This article goes more in depth about the symptoms of heartburn. If you came across this article and was looking for more information on the symptoms related to heartburn, I know i didn't go into too much detail, this article may help.